Productivity, quality, throughput, uptime — we develop brush products to help you meet your goals. Let us find a brush to fit your requirements or design one just the way you need it. Tanis Brush is an industry leader known for its unmatched selection of industrial and utility brush styles, custom design capabilities and unparalleled customer service. No matter what your industry or unique productivity challenge – cleaning, moving, sorting, polishing, finishing, sealing, or protecting – we have either done it before or will work with you to make it happen. NEED HELP? ASK THE BRUSH KING! At Tanis, we put innovation to work in everything we do so that, rest assured, our brushes perform the way you expect. Tanis provides a variety of twisted, disc and rotary brushes for surface conditioning and deburring applications within the aerospace and aircraft industries. Working closely with engine parts manufacturers and other aircraft design engineers, we design brushes that meet the rigorous needs of both internal and external parts finishing. Tanis brushes are utilized in many agricultural applications for improving yields in seeding operations, harvesting efficiencies, and demanding landscape applications. Specially designed brush applications help to gently move seed, harvested product or soil more efficiently and uniformly, thus providing proper orientation and separation and accurate gauging on flow metering and measuring. 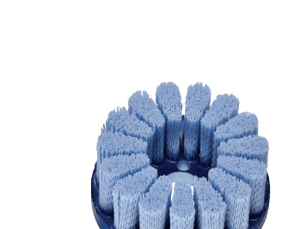 Tanis Brush provides a variety of twisted, disc and rotary brushes for surface conditioning and deburring applications within the automotive industries. Working closely with engine parts and other automotive component manufacturers, we design brushes that meet the rigorous needs of both internal and external parts finishing. Tanis provides an abrasive line of brushes for construction site applications and surface conditioning and deburring applications within the industries that manufacture HVAC, water heating/cooling, conditioning and treatment systems equipment. Tanis provides a variety of twisted brushes for both maintenance and cleaning of firearms after use as well as for use in the manufacture and finishing processes of firearms. Brush applications within food processing and production environments are vast and Tanis has expertise in supplying the best quality solutions for industries such as food processors in produce, grain products, meats and dairy. Our brush products are an integral part in the automated machinery used for animal and meat processing; fresh, canned and frozen fruit and vegetable operations; and bakery, cereal and snack production. Tanis brushes are utilized in many glass manufacturing and finishing applications within a range of industry processes including automotive, aerospace, optics, architecture, solar panels, military, and more. 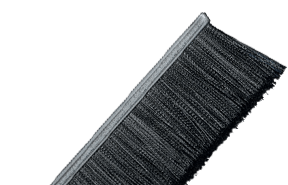 Tanis Brush provides a variety of industrial brushes – abrasive, twisted, rotary, strip, stapled set, power – for a wide range of applications. Working closely with manufacturers, we design brushes that meet the rigorous needs of internal and external machining; weather stripping and sealing applications to control temperature, dust, light, pest and noise; and material handling and packaging solutions designed to optimize productivity within cleaning, moving, sorting, transport, and labeling applications. Tanis provides quality brushes for a wide range of material handling and packaging applications within many industries including pharmaceutical, warehousing, fulfillment, food processing, canning, bottling, and other packaging processes. Our brushes are designed to optimize productivity within cleaning, moving, sorting, transport, and labeling applications. Our knowledge in medical machining provides a value added service for medical device manufacturers of implants and orthopedic devices. At Tanis, we provide micro abrasive disc, wheel, rotary and twisted brush designs to meet the exacting standards needed for neurological, orthopedic, spinal fixation, soft tissue fixation, bone fixation, surgical instrumentation, implant prototyping, implant production, and micro/minimally invasive device applications. Tanis brushes are utilized in many manufacturing metal finishing applications within a range of manufacturing industries including automotive, aerospace, military, HVAC, and sheet metal processing. Tanis Brush provides a variety of twisted, disc and rotary brushes for surface conditioning and deburring applications within the military machinery industries. Working closely with parts suppliers and other military equipment manufacturers, we design brushes that meet the rigorous needs of both internal and external parts finishing. For 25 years, Tanis has been providing quality brushes of many types to the commercial print industry. We work directly with internationally known equipment manufacturers to provide custom and standard brush assemblies that help ensure reliability and quality throughout the printing and conversion process. Our standards of quality meet high tolerances and exacting fit to reduce downtime and increase accuracy. Seals around doors and windows provide energy efficiency when controlling heated or cooled areas, while sealing out dust, light, untreated air and pests. Brush seals are especially effective in many applications in automotive, aircraft, large machinery, industrial, recreational vehicles, computer and data cable management areas. Tanis brushes are utilized in many wood cutting and finishing applications within a range of wood manufacturing processes including flooring, furniture and plank industries.